The workshop at Spring Rock Festival 2011! Another edition of the Spring Rock Festival 2011 in Nowa Sol will take place on May, the 7th. Among the performers you will see: Lao Che, The Sunpilots, Ola East, Absynth. Start the chair. 16.00. In addition, a workshop led by Krzysztof Blas (at 12.00) will take place at the Nowosolski Dom Kultury, ul. Pilsudskiego 49, Nowa Sol, lubuskie For more information and tickets to the festival and workshop registration see: springrockfestiwal@wp.pl and HERE. Workshop tour of Krzysztof Blas! The subject of the workshop will be the construction of improvisation – including the role of articulation and rhythm to enrich the playing solo. Workshop is designed for “electric”, guitarists but also “unplugged” ones will benefit from them as well. Guitar Challenge 2, is a continuation of Krzysztof Blas gitar method, who won the hearts of thousands guitarists in Poland! Whether you play an acoustic or electric guitar – the informations included inside will allow you to effectively expand your music knowledge and improve your playing technique! The next edition of the Guitar Wars 2011 competition has just started! 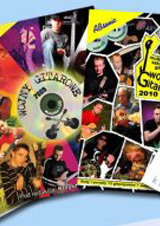 A new ‘Guitar Wars 2011 competition, edited by Krzysztof Blas for guitarists creating their own music has already started in January! You can win numerous awards during the competition, and that includes two HOFNER and LOOTNICK guitars! The new books from Absonic publishers! 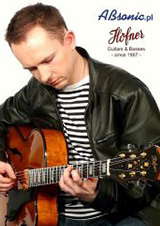 Interview with Krzysztof Blas in the December Magazine TOP GUITAR! An extensive interview with Krzysztof Blas has appeared in the December issue of TOP GUITAR magazine. In the interview Krzysztof talks about his gear, musical plans for future and, above all, about his latest DVD release – Guitar Challenge 2 – New Horizons. Discount on FM strings STRINGS for students of Krzysztof Blas! Krzysztof Blas is one of the most known FM Strings endorsers. The company has expanded the scope of cooperation with Krzysztof recently. 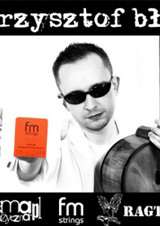 Now, all students of Krzysztof are entitled to 15% discount on FM strings. They can pick up the selected set at Wroclaw Ragtime Music Center after presentation of the relevant purchase receipt. And at last, the good news for guitar teachers who appreciated the quality of the FM Strings strings. List of brand endorsers is still open and you can still enlist. Then, your students can obtain similar discount, as Krzysztof Blas’ students already enjoy. Those who are interested in the promotion please visit www.fmstrings.pl. 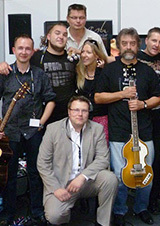 On the beautiful autumn Saturday, 2 October, 2010 the well known Blue Noteclub in Poznan for a half a day has become a temple of the highest level guitar artistry. 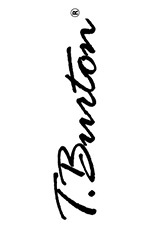 The long-awaited second edition of T.Burton Fingerstyle Festival took place on that day. The event was divided into three blocks – the competition, workshops, and concerts. The recording of online interia.pl chat! The online interia.pl chat site including Krzysztof Scieranski , Krzysztof Blas, Thomas M. Jordan and Wojciech Krys was held during the MusicMedia Show. The invited guests answered various questions asked by internet users – scoping from how to play the guitar to the subiects related to the instrument construction. Krzysztof Blas at the MusicMedia Show!